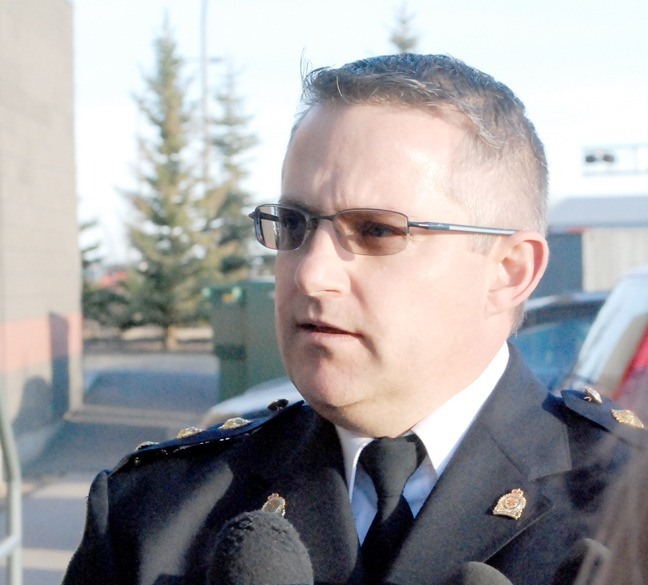 Reviewing statistics that show a sharp increase in drug enforcement issues for the community over 2018, Taber Police Service chief Graham Abela has drawn a link between this problem and an influx of crystal methamphetamine on Taber streets. In 2018, trafficking charges (10) saw a 67 per cent increase, while possession charges (54) have risen dramatically by 218 per cent over 2017 figures. The drug enforcement category of ‘other’ (13) has also seen a 30 per cent rise. Chair Ken Holst had initially inquired how much of this increase in drug enforcement could be linked to the legalization of cannabis. Officers have so far not encountered any major issues with cannabis enforcement. Abela was more concerned about the increased crystal methamphetamine use in the community, and various methods to improve enforcement. Referencing a call-out to the community on social media to raise awareness, Abela is positive about the response but contends that more action is needed. Coun. Jack Brewin, who serves as one of two council representatives to the commission, asked if Lethbridge’s safe consumption site is a possible source of the drug problem affecting Taber. Abela had only anecdotal evidence that this might be the problem, while arguing that more analysis is needed before drawing any firm conclusions. Brewin appeared to be more willing to point the finger in the direction of Lethbridge’s safe consumption site. “I would agree,” replied Abela. Commissioner Gary Bradbury, newly sworn in to the TMPC, asked what age groups are predominantly using crystal methamphetamine in the community. Rather than a severe problem with fatal overdoses that is more linked to synthetic opiate use, police are forced to deal with a different set of variables when encountering individuals under the influence of crystal methamphetamine. In a tip-of-the-iceberg statement, Abela warned the community needs to be ready to deal with the many undue impacts of this kind of drug abuse problem.